Building on their successes in last year’s November election, OneVirginia2021 will be out in force on Super Tuesday building its supporter base. In polling places all around the state volunteers will spread the word about redistricting reform. Almost 100 volunteers will cover approximately 50 precincts, talking to thousands of voters and passing out over 13,000 pieces of literature on gerrymandering. 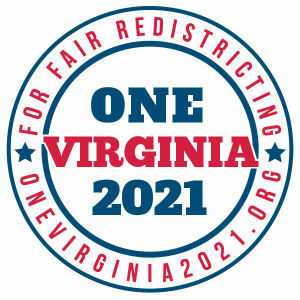 OneVirginia2021: Virginians for Fair Redistricting is a group of dedicated people from across the political spectrum who believe congressional and state legislative districts belong to the citizens of our Commonwealth, and not to any legislator, special interest, or political party. We advocate for a fair process, not a particular political outcome.